A quality piece in the drawer gift box style. 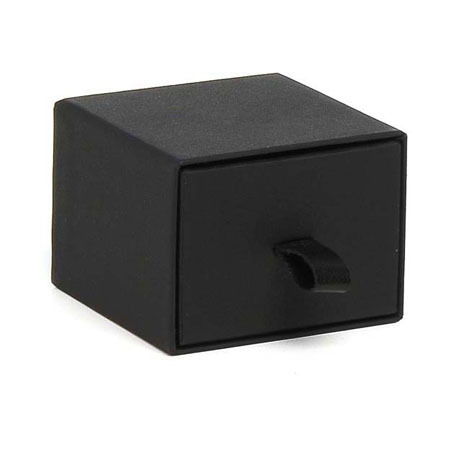 This black two piece art paper covered cardboard box has a leatherette pull which functions to reveal the box's jewellery contents lying comfortably in plush black suede. 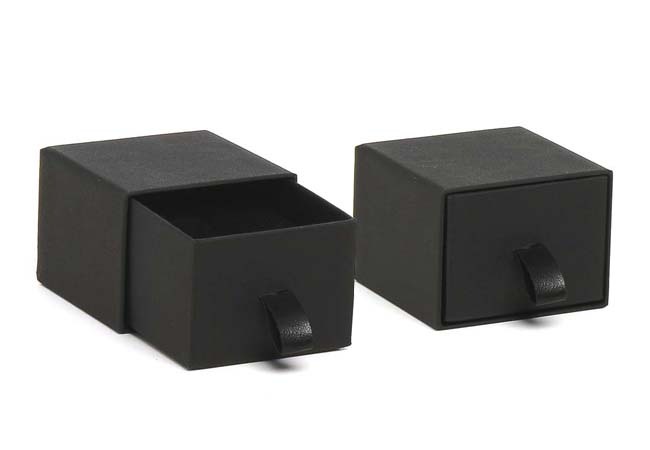 Can also be used as a cufflinks box. Packaged in a black cardboard sleeve.